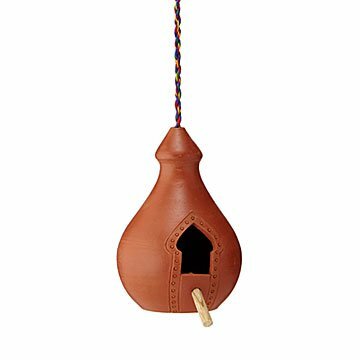 Birds rule, so hang this handmade terracotta palace for Their Highnesses in your garden or yard. Very fun and pretty bird house. Well made, with some extra touches I didn't expect.